Locked out ? Need your locks changed ? Did you lose your keys and need a replacement set ? Mr. Keyman S.D. Locksmith provides fast, reliable, professional 24 Hour Locksmith services at extremely competitive rates for the San Diego and North County area. There are lots of honest locksmiths out there but there are dishonest ones too and they're notorious for bullying helpless consumers out of a lot of money. Here's the scenario: You're locked out of your car, so you call a locksmith. You're quoted a price that seems reasonable, but when the "locksmith" shows up, he bullies you into paying more money a lot more. Saving money is more important than ever in this financial climate. 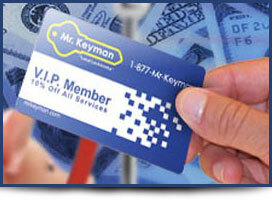 Start saving on your next San Diego locksmith service call by signing up as a V.I.P. Member. San Diego, named after Saint Didacus (Spanish: Diego de Alcalá), is the ninth largest city in the United States, second-largest city in California and 46th largest city in the Americas. Located along the Pacific Ocean on the west coast of the United States, San Diego has a population of 1,279,329 (July 2008 estimate). This coastal city is also the county seat of San Diego County as well as the economic center of the San Diego–Carlsbad–San Marcos Metropolitan Area considered congruent with the county. San Diego is also the largest city of Southern Border and is the region's western anchor. The city was rated the fifth best place to live in 2006 by Money Magazine. According to Forbes the city of San Diego ranks as the fifth wealthiest in the United States. San Diego's top four industries are manufacturing, defense, tourism, and agriculture. San Diego's economy is largely composed of agriculture, biotechnology/biosciences, computer sciences, electronics manufacturing, defense-related manufacturing, financial and business services, ship-repair, ship-construction, software development, telecommunications, wireless research, and tourism. The presence of the University of California, San Diego (UCSD) with the affiliated UCSD Medical Center promotes research in biotechnology. San Diego hosted two World's Fairs, the Panama-California Exposition in 1915 and the California Pacific International Exposition in 1935. Many of the Spanish/Baroque-style buildings in the city's Balboa Park were built for these expositions, particularly the one in 1915. Intended to be temporary structures, most remained in continuous use until they progressively fell into disrepair. Most were eventually rebuilt using castings of the original facades to faithfully retain the architectural style. Significant U.S. Naval presence began in 1901 with the establishment of the Navy Coaling Station in Point Loma, and expanded greatly during the 1920s. After World War II, the military played an increasing role in the local economy, but post-Cold War cutbacks took a heavy toll on the local defense and aerospace industries. The resulting downturn led San Diego leaders to seek to diversify the city's economy, and San Diego has since become a major center of the emerging biotechnology industry. It is also home to telecommunications giant Qualcomm. The San Diego State Aztecs (MWC) and the San Diego Toreros (WCC) are NCAA Division I teams. The UCSD Tritons (CCAA) are members of NCAA Division II while the Point Loma Nazarene Sea Lions and San Diego Christian College (GSAC) are members of the NAIA. San Diego is also home to several premier amateur sports events, such as the San Diego Crew Classic, held in Mission Bay every spring and featuring 100 or more college and amateur crews. The amateur beach sport Over-the-line was invented in San Diego, and the annual world Over-the-line championships are held at Mission Bay every year. The San Diego Yacht Club hosted the America's Cup yacht races three times during the period 1988 to 1995.The city hosts several well-known road races including the original Rock 'n' Roll Marathon in June, the America’s Finest City Half Marathon in August, the La Jolla Half Marathon in April, and several triathlons. Locksmithing began as the science and art of making and defeating locks. A lock is a mechanism that secures buildings, rooms, cabinets, objects, or other storage facilities. A key is often used to open a lock. Means of opening a lock may include two-factor authentication for greater security, such as requiring both something you know (a combination) and something you have (a key or keycard). Locksmithing is one of the earliest forms of security engineering. Lock picking was one of the first methods of cracking security systems.The oldest known lock was approximately 4,000 years old and was of Egyptian make. It was found in the ruins of the Emperor Sargon II's palace in Khorsabad. It used the same pin tumbler principle employed by many modern locks. Historically, locksmiths actually made the entire lock, working for hours hand cutting screws and doing much file-work. Today, the rise of cheap mass production means that this is no longer true, and, though a few expert locksmiths are also engineers and capable of sophisticated repairs and renovation work, the vast majority of locks are repaired by swapping of parts or like-for-like replacement, or upgraded to modern mass-production items. Until more recently, safes and strongboxes were the exception to this, and to this day large vaults are custom designed and built at great cost, as the cost of this is lower than the very limited scope for mass production would allow, and the risk of a copy being obtained and defeated as practice is removed. Although fitting of keys to replace lost keys to automobiles and homes and the changing of keys for homes and businesses to maintain security are still an important part of locksmithing, locksmiths today are primarily involved in the installation of higher quality lock-sets and the design, implementation and management of keying and key control systems. Most locksmiths also do electronic lock servicing, such as making keys for transponder-equipped vehicles and the implementation and application of access control systems protecting individuals and assets for many large institutions. In terms of physical security, a locksmith's work frequently involves making a determination of the level of risk to an individual or institution and then recommending and implementing appropriate combinations of equipment and policies to create "security layers" which exceed the reasonable gain to an intruder or attacker. The more different security layers are implemented, the more the requirement for additional skills and knowledge and tools to defeat them all. But because each layer comes at an expense to the customer, the application of appropriate levels without exceeding reasonable costs to the customer is often very important and requires a skilled and knowledgeable locksmith to determine. Mr. Keyman is a top notch San Diego, Ca locksmith company located in San Diego California. We are locksmiths with a passion for superior customer service and outstanding professionalism. Mr. Keyman has been offering San Diego emergency locksmith, and emergency locksmithing services for over a decade. We have solved thousands of emergency locksmith issues, and educate our clients on making their houses, businesses and forms of transportation more secure. Our average 24 hour emergency locksmith response time is around 20 minutes. That emergency locksmith response time may extend to up to one hour on very busy days, although we inform our customer of the wait before committing on service. Mr. Keyman provides emergency locksmith service for cars, trucks, motorcycles, houses, apartments, condos, businesses, and government facilities. Are you looking for a automotive locksmith? Being locked out of your automobile can be a big hassle, and can halt your busy schedule. With Mr. Keyman on the way, you never have to worry about long response times, or you car being damaged in the process of opening your automobile. Auto locksmith service is available for all makes and models of automobiles, and most of the cost attributed to your service call can be absorbed by AAA if you are a current card member. Don't call just any 24 hour auto locksmith. Are you looking for a motorcycle locksmith, need motorcycle keys, do you have a broken motorcycle key? Is your motorcycle gas cap lock stuck?. Mr. Keyman has specialized in motorcycle locksmithing since 1998. We know that you want a locksmith that wont scratch up your baby while servicing it. We get you back to where you want to be...not in traffic. 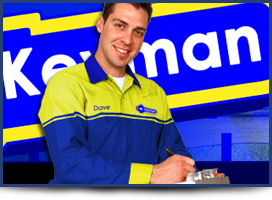 At Mr. Keyman each one of our commercial locksmiths is trained in superior customer service.. We have built our business on customer service and referrals for over a decade, and that pattern doesn't look like it's about to stop anytime soon. Forget those random internet locksmiths who boast the lowest prices over the phone, then rack up charges and foot you with a inflated bill. Our commercial locksmith service customers call us because time is money, and they want a fair priced, licensed, and efficient locksmith, who can get the job done right the first time. For Fast commercial locksmith service, call the experts first. Do you need a residential locksmith? With residential locksmith service from Mr. Keyman you get fast 24 hour response for all of you residential lock out emergencies. We service deadbolts, door knobs, handlesets, electronic locks, pocket doors, door leavers, and high security locks. We solve lock out problems the right way, and almost never need to drill out a lock. Mr. Keyman has been servicing the Camp Pendleton Military Base for over a decade. 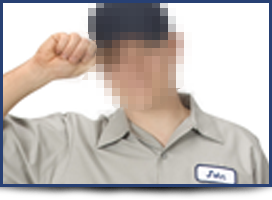 We have obtained clearance for all of our service techs to service our clients on base faster. We employ specialist who are trained in safes, X-09 / CDX-09 safe locks, high security locks, Medeco, Mul-T-Lock, Assa Abloy, and high security entry prevention.